Motoring writer Nicholas Henare dishes the automotive dirt on Infinity, a sub-brand of Nissan, and this year’s electrifying range of performance vehicles. 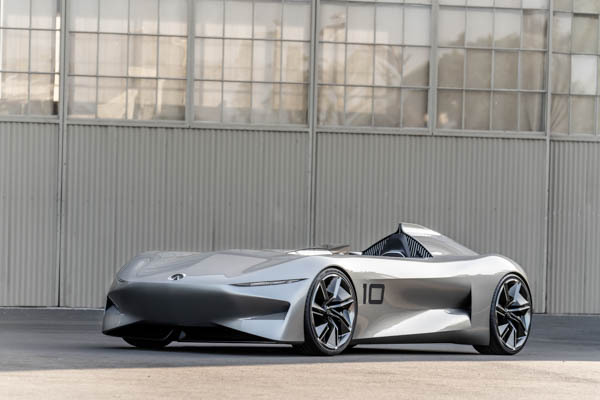 Following on from a range of electric vehicles rolling out at Pebble Beach Concours d’Elegance, the Infiniti Prototype 10 recaptures the spirit of early speedsters for an era of electrified performance. The concept represents a physical manifestation of Infiniti’s creative and ambitious plans. Yet again this year’s range of prototypes have a familiar early 1900s feel to the vehicle, with a flash back to those incredibly well styled vehicles of the 1920s and 30s. As a brand with technological innovation at its core, electrification is a natural next step for Infiniti. From 2021, every new Infinity model will be electrified, featuring hybrid or battery electric technology to enhance performance. The Prototype 10 provides a window into this desire to deliver driving pleasure, thrilling performance and range confidence. With prototypes built to please the eye as well as the desire to see innovation in driving requirements, Infiniti has produced something to rival even the purest of luxury brands on show at Concours d’Elegance. The new concept follows two other design studies revealed by the company in the last 12 months: the Prototype 9 – first revealed in 2017 – and the Infiniti Q Inspiration concept, unveiled at the 2018 North American International Auto Show in Detroit. 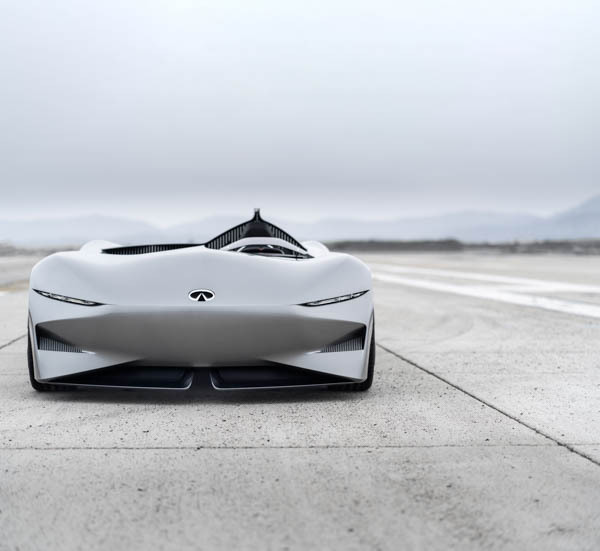 Where Prototype 9 – a sleek, open-wheeled, electric retro-roadster – imagined an alternative history for Infiniti, the Prototype 10 is resolutely focused on what the future holds for the brand. Utterly daring in its bold execution, the new concept is inspired by the spirit of early speedsters, its form and function evoking driving pleasure and thrilling performance. A future vision realised by Infinity designers, Prototype 10 is informed by some of the most iconic car designs of all time. Its cool, clean forward looking design is further complemented by its electrical performance. It seems that this year’s prototypes have that all familiar feel and it really is, back to the future.